Back in 1945, Miami attorneys Shepard Broad and Alvin Cassel met for breakfast to discuss launching a new law firm. Although they had very different personalities, their professional skills fit well together, and on January 1, 1946, they founded Broad and Cassel. Since then, the firm has grown from a one-office practice with a focus on banking and finance into “Florida’s law firm,” with about 175 lawyers in ten locations throughout Florida. “Our founders would be proud of the way we have built on their legacy,” said Gabriel L. Imperato, managing partner of the Fort Lauderdale office and co-chair of the firm’s White Collar Defense and Compliance group. Board-certified by The Florida Bar in health law, Imperato advises health care organizations on corporate governance and compliance matters and represents organizations accused of health care fraud. “It was the firm’s collegial culture that brought me here in 2005,” said Mark F. Raymond, managing partner of the Miami office and co-chair of the Business Litigation group. 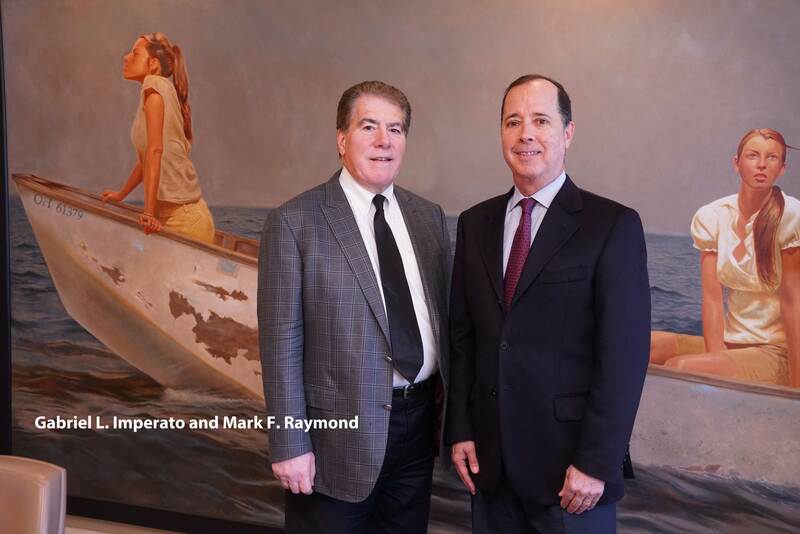 “Since then, and really over the firm’s more than 70 years in operation, we have built a strong reputation statewide, adding several key practice areas and attracting top talent to be the trusted advisors and counselors our clients need us to be.” Raymond has been involved in complex commercial litigation for over 30 years, and was named the 2017 Miami Litigation – Mergers and Acquisition “Lawyer of the Year” by Best Lawyers. Through the decades, Broad and Cassel has been able to adapt to Florida’s shifting marketplace, while maintaining a strong capital base to weather the state’s recessions. Today, the firm’s key practice areas include Affordable Housing and Tax Credits, Commercial Litigation, Corporate and Finance, Estate Planning and Trusts, Health Law and Real Estate. “We have continually looked for attorneys with the right experience, knowledge and personality to fit into our firm,” said Imperato, who joined the firm in 1992. Many of the firm’s partners have been with Broad and Cassel for decades. For example, Jeffrey Deutch founded the Boca Raton office in 1979 (and currently is the managing partner of that office) and Patricia Lebow founded the West Palm Beach office in 1983, which is now led by managing partner Clifford I. Hertz. The firm’s attorneys can advise health care clients on putting an effective compliance program into place, including being able to detect activities that may give rise to a potential financial liability. “In many cases, we advise on strategies to resolve the situation quickly and beat the whistle-blowers to the courthouse,” Imperato said. Imperato is also a recognized leader in addressing the connections between health information technology, compliance and risk management. For instance, implementing electronic health records (EHRs) can address compliance issues, provided the physician group understands how to manage the system and extract the appropriate data. “Implementing a health IT system can be a positive step in detecting and preventing non-compliant activities, as well as problems in billing and coding behaviors,” he added. Since its founding, Broad and Cassel has been active in the real estate sector, and has focused on representing developers for the past 20 years. “We have closed billions of dollars in transactions in the past five years,” Raymond said. For instance, a law firm’s national investment client might buy 50 apartment buildings, including 10 in Florida. “We would handle those 10 transactions, serving as a supportive partner for the national firm,” he added. Along with real estate, Raymond has grown the Miami office’s tax, trust and estate practices. “Many wealthy individuals and families come to us for advice on becoming Florida residents, which can affect their tax and legacy planning,” he said. A commitment to diversity is one of Broad and Cassel’s fundamental values. “We believe that having a diverse workforce makes us a better law firm and enables us to bring a broader perspective to our clients’ problems,” said Raymond. “We want the firm to continue to recruit lawyers with diverse backgrounds and make sure they are successful,” added Imperato. Broad and Cassel’s attorneys also give back to their communities in many ways, serving as leaders of professional, charitable and religious organizations. “We believe if you are going to practice law in our firm, you must be involved in the community,” said Raymond, who is the incoming president of the University of Miami School of Law Alumni Association. The same philosophy applies to the Fort Lauderdale office, where Imperato has been a longtime supporter of Leadership Broward.